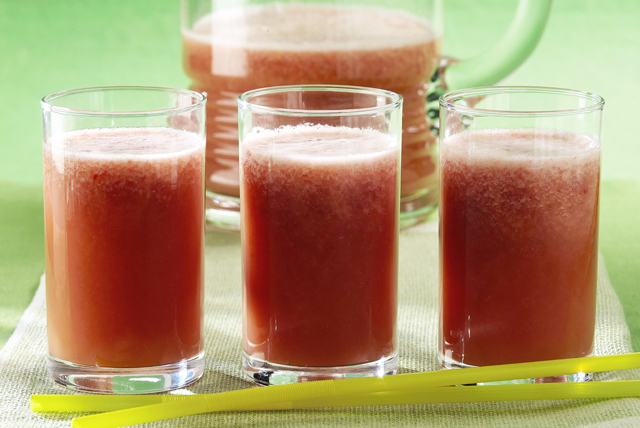 Enjoy fantastically fruity flavor with this Strawberry-Banana Punch recipe. This delicious Strawberry-Banana Punch includes fresh strawberries, ripe bananas and OJ along with club soda for some fizziness. Blend first 4 ingredients in blender until smooth. Pour into large plastic or glass pitcher. Refrigerate. Garnish with fresh orange slices.